Baccarat is a non skill based casino card game on which you will find when playing it online you can rattle through an amazingly high number of games per session, and unlike games such as Blackjack for example you will not need any special skills to play this game as you only ever have three different betting opportunities on each hand you play off. However, over the years there have been several different variants of Baccarat launched, and as such when you log into your chosen online casino site you will often come across many different variants on offer to you. In this particular Baccarat playing guide we are going to be taking a look at how you can play Baccarat online and we will then move onto passing onto you a few different hints and tips for playing this very popular casino game so you can get the maximum value out of your gaming bankroll. 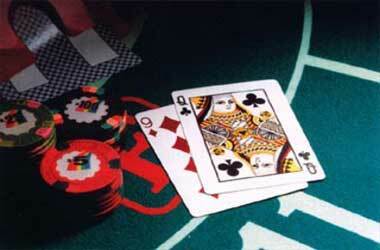 When playing Baccarat you will find that each playing card that can be dealt out to you will be allocated a value, any card that is worth a 10, such as obviously all of the 10 cards, the Jacks, Queens and King cards are all worth zero, Aces are worth one point and all of the other playing cards in the deck have a value of their face value, so for example a 7 of Clubs is worth 7 points and a 2 of Diamonds is worth 2 points and so on. You will find that you can play Baccarat for as little as just 1.00 per hand and that will of course be in the currency you have chosen to set your casino account at. Be aware that the maximum stake levels you can choose to put into play when playing Baccarat can and often will vary from casino site to casino site and some casinos will let you play for as much as or even over 1000.00 per hand dealt out to you! 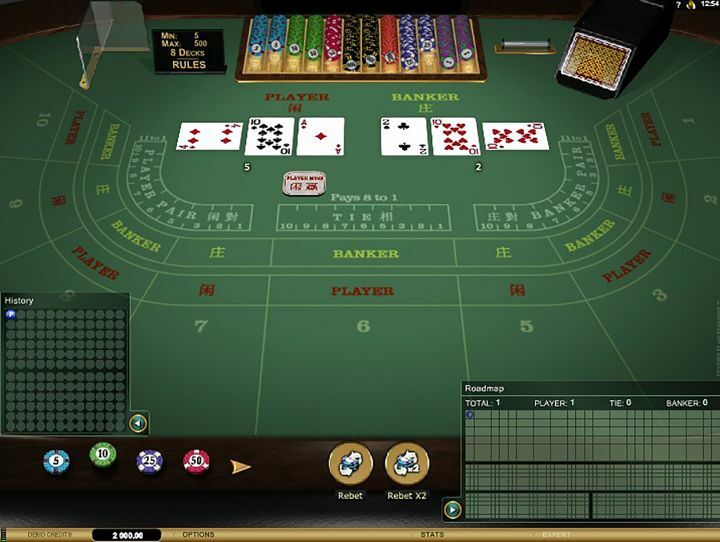 Playing Baccarat really is simple to do, for when you have found a casino site offering this game you first have to decide which of three possible outcomes you think will occur when two different hands displayed on the screen have had a series of cards dealt out to them. You will find there is going to be a series of cards dealt out to a hand named the Bankers Hand and also a set of cards dealt out to a second hand and that hand is known and displayed on the screen as the Players Hand. The number of cards dealt out to each hand can vary depending on the game play rules of the variant you are playing. However, the winning hand will be the one which has a value, when all of the cards are added together in each hand, of 9 or as near to 9 in value as is possible. Players of Baccarat can place a bet on either the Players Hand or the Bankers hand or can choose to place a bet on the Tied Hand. The Tied Hand is only deemed a winning hand if at the end of the deal both hands have the exact same value. When playing Baccarat if you have chosen to place a bet of any value on the Bankers Hand and that hand is declared the winning one then the payout you will receive is even money less a 5% house commission. However, the Players Hand will reward players with an even money paying payout, but you will not have to pay a 5% house commission if you chose to place a bet on that hand and it is the winning one. You will find also that the payout odds attached to the Tied Hand can and will vary, as different casino sites using different software and gaming platforms and a different suppliers range of games have different payouts attached to that winning combination. The stake levels also can and will vary depending at just which casino site you have chosen to play at, however the most commonly available minimum staking option available on the vast majority of different casino sites Baccarat games is just 1.00! You should avoid placing the Tied Hand bet when you are playing Baccarat at any online or mobile casino site, and there is a good reason for us telling you that! Whist you may be very tempted to place the Tied Hand bet as the odds you will be paid out at are way higher than that of the other two betting opportunities on this popular card game the house edge on that one single Ted Hand bet is huge! Therefore it is a very poor valued bet and one that the more you place it the sooner your bankroll will be diminished! So avoid placing that bet and concentrate your playing efforts on the other two betting propositions instead. 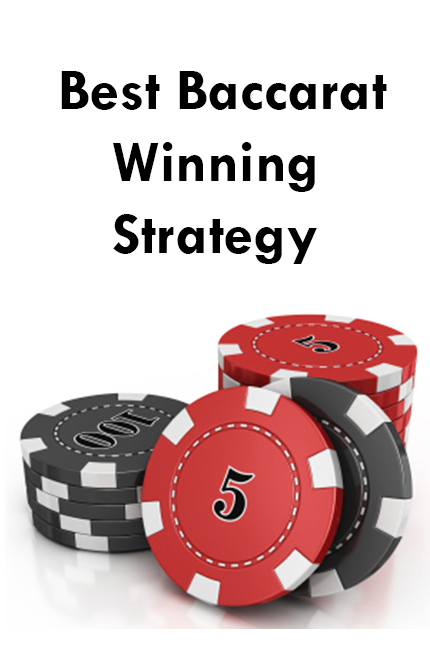 Another thing to keep in mind if you do fancy playing Baccarat online in a real money playing environment is that most casinos online offer player comps, and as such when playing that game for real money. Ideally you should be playing at a casino site offering you the most generous comp club as that way you will be locking in lots of additional playing value due to the amount of comp points you will earn per real money bet placed and also you will get more bonus credits when redeeming your points too! One final thing to keep in mind is that many casino sites offer new players a deposit match bonus and regularly players at most casino sites also get lots of ongoing deposit match bonuses too. Make sure however if you want to play Baccarat with bonus funds the casino has that game on their permitted games list when you are using bonus credits and also pick a bonus that when used on Baccarat games comes with a low play through requirement!